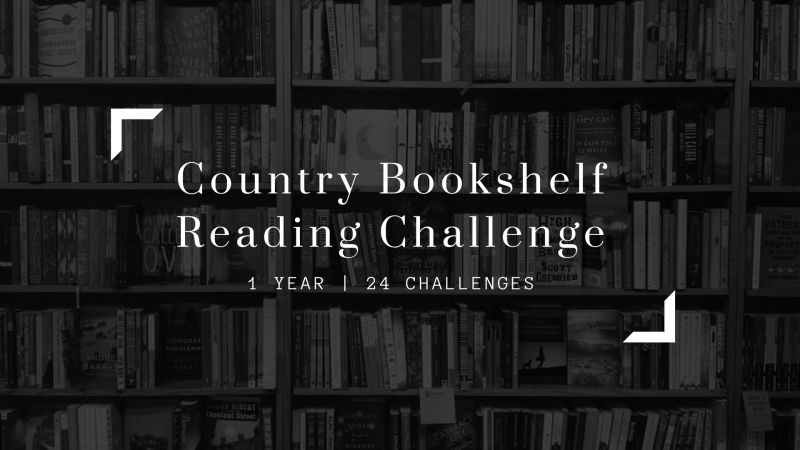 Join us for the Country Bookshelf 2019 Reading Challenge! We've created a list of 24 categories to read by the end of the year, but don't worry, one book can meet multiple challenges. 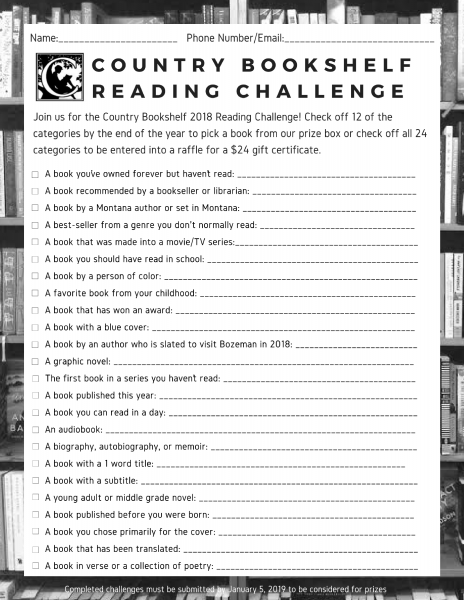 Complete 12 challenges in order to pick a book from our prize box or complete 24 to be entered in a raffle for a $24 gift certificate. Entries must be in by January 5, 2020 to be eligible for prizes. We will also be hosting events to help meet challenges and enter more giveaways throughout the year. Want to chat with other participants? Join out Facebook group to discuss what you're reading and find suggestions to complete challenges. Posting on Twitter, Facebook, or Instagram? Tag us and use the hashtag #cbreadingchallenge and we might share it on our social media as well!